THE ANCIENT JEWISH CEMETERY Guided Tour to the Ancient Jewish Cemetery of the Lido In 1386 the Republic of Venice gave the Jews the possibility to make a cemetery giving them a wasteland in St. Nicholas in the Lido, whose property was claimed by the Monastery of St. Nicholas. Once ended the dispute with the friars the cemetery had been utilized without interruption since 1389 reaching its climax in 1641. After this date, the expansion of the fortification system of the Lido wanted by the Republic of Venice to defend against the Turks, brought to a slow but steady resize of the cemetery southbound so that in 1736 the “university of Jews” bought a neighboring property. The fall of the Republic of Venice, the foreign occupations and their related vandalism, as well as weathering brought to the disappearance of many monuments and to the deterioration of the Jewish cemetery. During the 19th century, because of the recovery plan of the Lido of Venice, some part of the cemetery (now State property) was expropriated and destined to other uses. In 1999, thanks to the competition of public and private resources, both from Italy and abroad among which Save Venice Inc. and Steven and Alida Brill Scheuer Foundation, a complex work of recovery has started: many tombstones have been retrieved and more than 1000 dated from 1550 and the early 18th century cataloged. 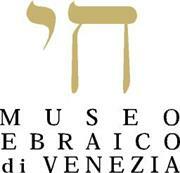 Nowadays this charming place, a testimony of centuries of Jewish Venetian History, has regained its own dignity. The guided tour to the ancient Jewish Cemetery of the Lido lasts 1:30 h about and costs 80€ plus the single tickets: 10€ (full price), 8 € for children and students until the age of 26 and groups over 20 people, members of Italian Tourism Association, members of Fai (Italian Heritage Fund), member of Coop and of ICOM, journalists), 7€ for the Venice City Pass (“Venezia Unica”) holders. Only in the case that people in the group are more than 20 the cost will be only the one of reduced tickets (with no 80€). and can be effected from Sunday to Friday from April to September.